Learn to Sew – I really want to learn how to sew, and sew well, for this coming year. It’s something I’ve put off for far too long. Write a Book Targeted at Men’s Ministry – This is more of a calling that a personal desire. Hopefully I have something worthwhile to say on the subject. Improve My Ocarina Playing – I have a sweet potato ocarina, like the one pictured to the right. I was starting to get used to playing it, but got busy and forgot about it. I want to get back to playing it, because it has a unique sound. Become Consistent on My Flute Playing – When I tore up my shoulder back in 1993-1994, I lost a lot of technical proficiency. I never practiced to gain it back. I’ve maintained just enough practice to get my tone back after a couple of weeks of practice, but I’m not where I want to be with the caliber of my play. The only way to change this is to try and play every day. I’ve decided to add a new goal for next year, and that’s learning how to sew, and sew well. It’s something I’ve put off for a long time because I’ve been afraid. See, my mother is a tailor and a very good one. She’s been doing it for years and when she prior to her current job, she had a clientele that followed her from tailor shop to tailor shop because she did such a great job. Now she tailors uniforms for Marine recruits at Parris Island. So she doesn’t do a lot of the more advanced work that she used to do. But even though she doesn’t do much of that any more, she’s capable of doing it all and she’s an extreme perfectionist. Whenever I have entered one of her realms of expertise, I’ve always been in for it. She holds her exacting standards up to my efforts. I learned that when I was learning flower arranging. And I know that when I start actively learning to sew, she’s going to demand to see my work and the critiques, likely harsh ones, are going to come my way. But I’ve gotten to a point where I want to learn how to sew and learn how to sew well. There are a few driving reasons for this. In recent months, both my wife and I have bought clothes that fit almost right. In my case, I’ve always had a problem with pants and slacks being too long. Ever since I was a kid I’ve had big thighs. I ran, played soccer, played baseball, and basically focused on activities where my leg strength gave me an advantage. As I’ve gotten older, my waist has grown to match my thighs, though I’ve been attempting to do something about that. The end result was that I’ve always had trouble finding pants that fit right. I would love to be able to hem my own pants and save the cost of having someone else do them for me. My wife has had similar issues with finding clothes for our oldest son. He has a similar body build to me. And then our second son is skinny as a rail. So tailoring would certainly help. This year we went with some simple builds for costumes. I’d like to do more elaborate costumes for the kids, but I really don’t want to pay the amount of money costumes cost nowadays. Especially for an outfit that will barely last the few days the kiddos will use it. I can remember growing up and my mom and her sister making some awesome costumes. 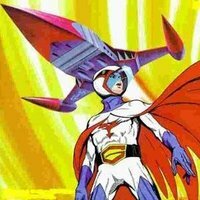 For instance, one year my mother sewed the costume for a Battle of the Planets character for me and my aunt modified a CHiPs helmet to be right for the main character (pictured to the right). Another year my mom fashioned a wizard costume that looked great. The materials were inexpensive. It was mostly a labor of love. I’d like to have nice costumes for my kids without having to pay an outrageous amount for them. It’s amazing how smaller children respond to stuffed animals. So when we’re giving a gift to a kid under six, we tend to include a stuffed animal as well. However, I’ve noticed that most store bought ones are pretty lousy on quality. Unless you’re spending close to $20 on a stuffed animal, you’re going to get one that’s likely to fall apart. That’s not my idea of a good gift. I remember when I was growing up that me and my cousins had some really solid stuffed animals. They took a lot of abuse. They were sewn by, you guessed it, my mom and my aunt. This past Christmas proved trying when it came to trying to find the right outfits for the kids for their Christmas performances. Simple things like a white turtleneck were virtually impossible to find. I would love to not have to worry about it when we hit a couple of stores and we can’t find exactly what we need. It would be great if I could say, “I’m done looking, let me go and sew it myself.” I want to get to that point, because I’m tired of having to scour just about every clothing store in a 10 mile radius for the right outfit in the right size.